Presented alongside “a wide-range of design professionals whose work is revolutionizing pathways to health through the design of our urban landscape. From architects, urbanists and developers, to industrial designers, design-biologists, technologists, and nutritionists we will explore the ways in which design is transforming the way we develop cities towards a healthier, more brilliant, more meaningful future”. A student organized event where youth will meet peers and talk about issues facing the future of their generation. Workshops include the Vancouver School Board’s Sustainability Plan, City of Vancouver’s “Talk Green to Us”, Food Security, Cob House Demo, Green Mapping (Pedestrian City), Shelter, and Backyard Chickens. Vancouver is hosting Walk 21 2011! 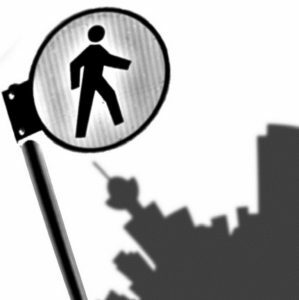 The theme is Transforming the automobile city: walking steps up! With the Greenist City 2020 initiative, the recent visit by world renowned Danish architect Jan Gehl, and Velo City coming to Vancouver in 2012, this is the perfect time for the City to host an international conference on walking and liveable communities. Updates on the conference program, venue, hotel and registration will be posted at www.walk21.com. A street festival complete with musicians, a skatepark courtesy of Antisocial Skateboarding Shop, local restaurants, and an assortment of merchants, info booths and artists, including Pedestrian City and the Vancouver Public Space Network. Come out! Support this great neighbourhood initiative and contribute to the Green Map project ! Fragmented Geographies will explore psychogeography, dérive/drift, and the right to the city to raise questions around contested spaces, constructed landscapes and temporal infrastructure created by and for Vancouver 2010. Participants will be invited to create memory maps of the city, tracing their routes through it to show how mobility is affected by the current global spectacle. At the end, instructions on how to conduct a dérive through the city will be given. A geographer and advocate for pedestrian-scale development, NATALIE ETHIER is interested in the connections between urban form, perception, and experience of place, and how these influence movement through cities. With her project Pedestrian City she encourages people to share memory maps as a way to make connections between the places and interactions they experience in a neighbourhood; things they’ve noticed but maybe never put together in the same mental space. The City of Vancouver released its Greenest City Action Team’s 10-year plan last week in a report titled Vancouver 2020: A Bright Green Future. Part of the report, titled “Green Mobility,” discusses the goal of creating a Vancouver in which, by 2020, more than half of trips within the city are carried out on foot, bicycle or public transit . “Great green cities are walkable cities,” reads the report. “Walking is the most environmentally sustainable form of transportation, creating no emissions, no noise, and requiring the least amount of infrastructure. Visual Narratives from the first Pedestrian City project were displayed in the Walking Life exhibit at the Gladstone Hotel, and at Walk 21 Toronto.